The Modular Platform-1 -or- MP-1 for short! The MP-1 folder made its debut to the world at the 2016 Tactical Knives Invitational! It is indeed a departure from the XM series in terms of design, but it functions just as good as your trusty XM! The MP-1 features a sleek 3.25″ blade made from S35VN steel. The initial offering for this production folder is an all titanium handle version! 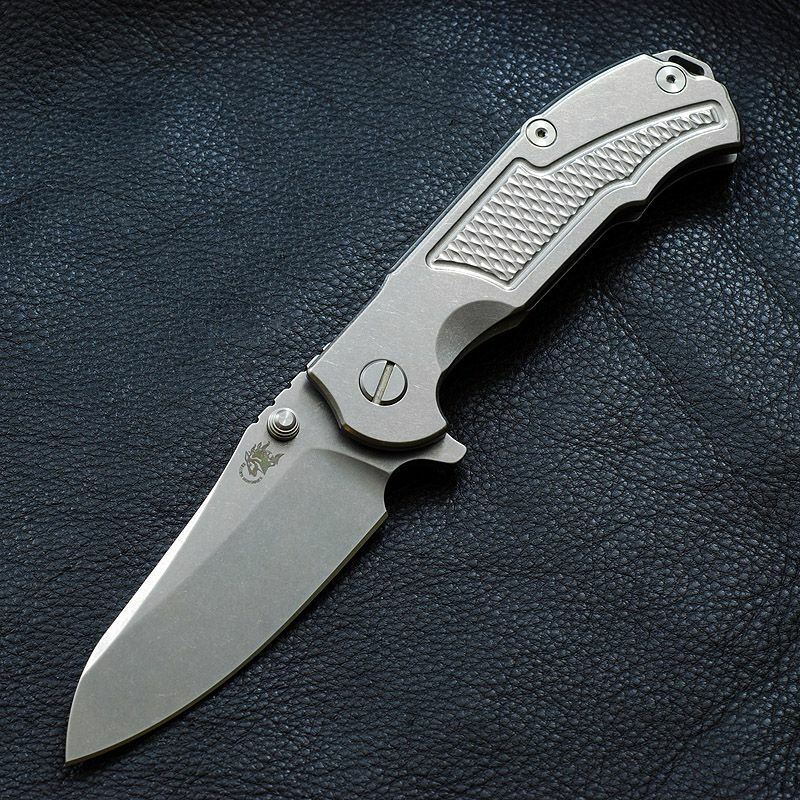 What really makes this knife stand-out, is that it features Rick’s newest creation; the HMBS- Hinderer Modular Backspacer System! The HMBS is an innovative patent pending design that features a removable backspacer. The great thing about using a knife with the installed HMBS, no disassembly is required to switch out backspacers with one of the many variations we offer. What is your favorite blade grind?